We are just sojourners in this world and sooner or later, whether we like it or not, all of us will bid this place goodbye. The cost of living in America is high especially in big cities like New York, Los Angeles, Miami. With the increasing prices of commodities, it can be expensive to be able to live comfortably. In like manner, it can also be expensive to die. By that, I am referring to the expenses related to funeral arrangements (casket, funeral homes, cemetery). If we pass away unexpectedly without making preparations for the inevitable, we leave all the financial burden to our loved ones. It won't be a problem if they have the financial means; but what about if they don't? 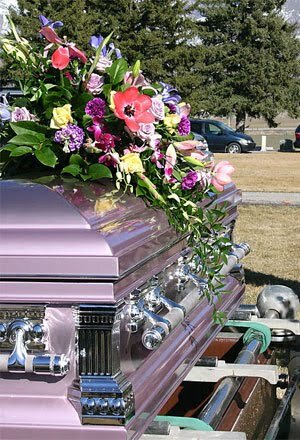 The wise thing to do is to plan and prepare for your or your loved one's funeral costs way ahead of time. Back in the Philippines, I prepared not only for myself, but also for my late grandmother's. I had a plot ready for my family and for myself, including a memorial plan (casket and funeral arrangements). When the inevitable happened, I was spared with too much expense because I was prepared ahead of time. Here in the U.S. where funeral expenses are higher, it wise to make plans while you still can. This post is very useful and very interesting to read, Really this Post is nice information,Keep it up.